Saw Book of Mormon last night! ...and more! I was still humming "Just turn it off..." in the shower this morning. 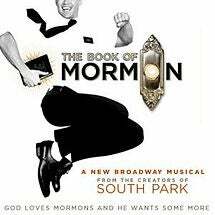 And because it's Monday morning - hasa diga eebowai, everyone!